At Power & Praise last night, we took time to pray for impossible situations surrounding people we know. 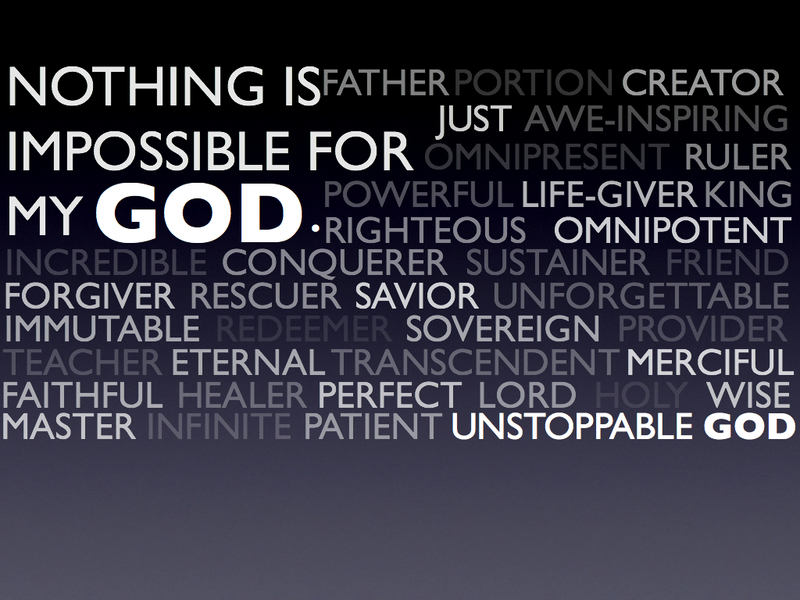 What is impossible for us is NOT impossible for the Lord, so let us continue to be bold in our prayers! In recent months we have heard stories of how God HAS done the impossible, and below are three in particular that can encourage our hearts. Let’s continue to give thanks together for the great things He is doing! I submitted a prayer request a couple of days ago for a young man named Darryl who had fallen off of a grain elevator. The original MRI last Saturday showed multiple breaks in his neck and back, and the worst was feared. After prayer covering another MRI was performed on Monday and only minor fractures were reported. It is now Wednesday and Darryl has been discharged from the hospital and is walking around his house with his little girl!!! Thank you all for your prayers, and Thank You Jesus for your healing power. Darryl’s entire extended family is in awe!! First MRI: neck broken in 2 place, spine broken in 3 places. Second MRI: no signs of breaks, minor fractures. Next day: up and walking. Next day: released from hospital. Next day: two year old daughter just can’t understand why Daddy can’t carry her just yet. This has brought glory to His name!!! It has been over a year since I first had trouble seeing out of my left eye. I had an ocular scan done and was told the macula had pulled away from my eye and that blood had gone into my eye, causing my vision to be hampered. After a second scan I was told that even though the macula in my eye had gone back together (Praise God), I would always have the blood in my eye preventing me from seeing clearly. 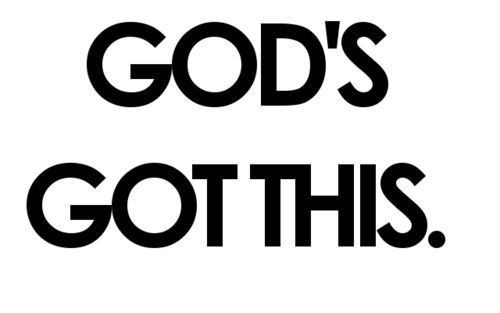 Much prayer has been said and I always believed that God would restore my vision. If I could pinpoint a turning point it would be when I received prayer from a young couple that attend Power & Praise. That prayer of faith went deep into my heart and I began to check the condition of my vision on a regular basis, knowing that God could heal me at any time. Then one day I closed my right expecting to see through the net of blood, but it was gone and it was like seeing HD for the first time. I wanted confirmation, so today I went to see different optician and I did this because I was frustrated with the previous Dr. and not able to get an appointment. I told the new optometrist what had transpired and that I was told it was permanent. He did a thorough exam of my eyes, and although there is a cataract forming, he couldn’t see any blood and with my new glasses I will have 20/20 vision. August 26, 2012 — 10 days ago I had a heart attack in Rosetown, SK. A pain in my arm woke me up at 4:30 AM. Upon sitting up I realized I had pain all across my upper chest and down the backs of both arms. Sitting there I moved a bit, drank some water and nothing helped ease the pain. Just then, the owner of the truck stop drove in to get ready to open for the day. I dressed, got out of my truck and went over to him. He drove me to the hospital, and I was immediately put on a heart monitor, given an ECG, had blood taken, then given nitro and an injection to stabilize me. The heart will release an enzyme into the bloodstream when it’s had a problem. It takes a number of hours for this to show in blood work. I then notified my kids and Bill and Jeannette Fast to please get a prayer chain going. Faithful servants that they are, this was done within an hour. I know, because I think within an hour and a half I was getting emails and texts of support! The hospital did the second set of blood work and my enzyme levels were elevated. With the confirmation of this test I was immediately bundled up and transported to Royal University Hospital in Saskatoon (which houses the cardiac unit) and I was scheduled for an angiogram the next morning. They don’t just do an ambulance transfer and schedule an angiogram that fast unless tests indicate a highly abnormal condition! I was to get my angiogram at just before noon the next day, but due to 3 more severe emergencies I kept getting bumped back to the point that I wasn’t able to get it till Monday! Nothing like adding a little more stress to the situation when you’re 500 miles away from family and friends. When I finally got my angiogram, the test could not find any heart damage. It showed all my arteries clear and strong. I received no stints. It did, however, indicate a blood clot in my left lung. They then sent me for a CAT scan to check the clot. But when they did the CAT scan they could not find a clot in my lung—it was gone without a trace. From the time I was stabilized in Rosetown I did not have any pain besides bed sore and the pain the vampire nurses inflicted taking blood. The doctor was at a loss to explain what had happened to me. He said initial testing shows a heart attack but they can’t find a thing. On my release papers he marked my condition as myocarditis. That’s a virile infection causing swelling of the heart. I asked him to explain my first tests and the fact that if I had an infection how it cleared so fast with no antibiotics being administered. His reply was that he had to put something down. I told him I could explain it—it’s simple, I have had a Miracle! I’ve been praying and a whole bunch of family and friends have been praying. These prayers have been answered. Praise the LORD! What miracles happened? What did GOD do for me? He gave me enough strength to dress, get out of my semi and walk to the truck stop building! He healed me and protected me! The Lord tells us in His Word that where 2 or 3 are gathered, He is present. There were many gathered in spirit! He also tells us to ask and we shall receive. Be BOLD and ask!